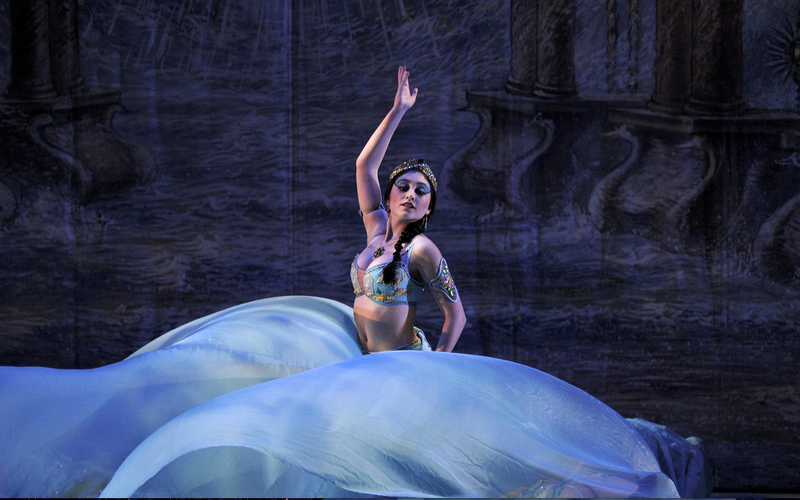 For most non-dancers (and many dancers, for that matter), when thinking of ballet, they think of the Nutcracker. With its flurry of snowflakes, dancing children, and sugary sweets, the festive ballet has been an American tradition since Willam Christiansen’s production for the San Francisco Ballet in 1944. 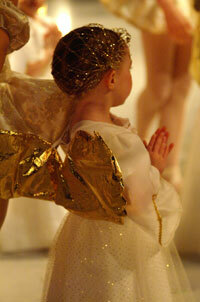 With countless incarnations across the country since then, it is often the one performance people see each year. For many it is their first and sometimes only impression of ballet. For most companies this mainstream American appeal is what keeps them financially solvent, and as such, it is often regarded both a boon and a curse to the art form. (For a fantastic article about Nutcracker’s downside, see critic Sarah Kauffman’s article for the The Washington Post here). But regardless of its saccharine charm, Nutcrackermarches across stages every year with the same diligence as its many toy soldiers. 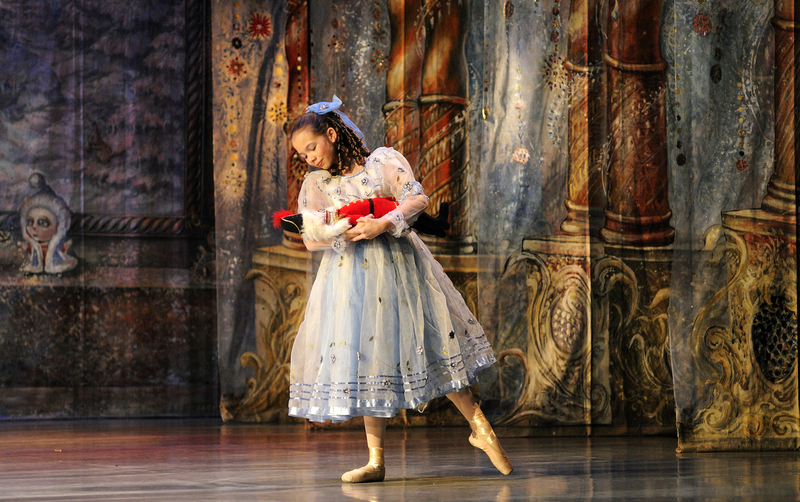 There are almost ten Nutcrackers being performed in the greater Seattle area this year (see our Holiday Guide for details), and SeattleDances went to four of these productions to ask the directors and dancers, youths and adults, their thoughts about Nutcracker and what it means to them. Jonathan Porretta in the Kent Stowell/Maurice Sendak Nutcracker. 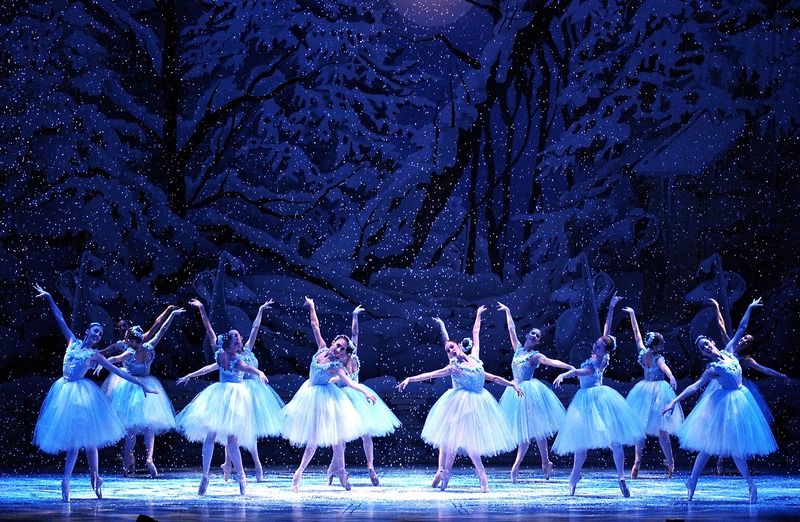 The snow scene from Pacific Northwest Ballet’s Stowell/Sendak Nutcracker. Seeing rehearsals across the region and hearing so many different perspectives only served to reinforce that Nutcracker is a multi-faceted experience. It ultimately proved that ballet is alive and well, especially in smaller-scale pre-professional schools and companies. Whether it’s through the music, the magic, or the tradition, Nutcracker’s most important function seems to be its ability to inspire the next generation to dance.